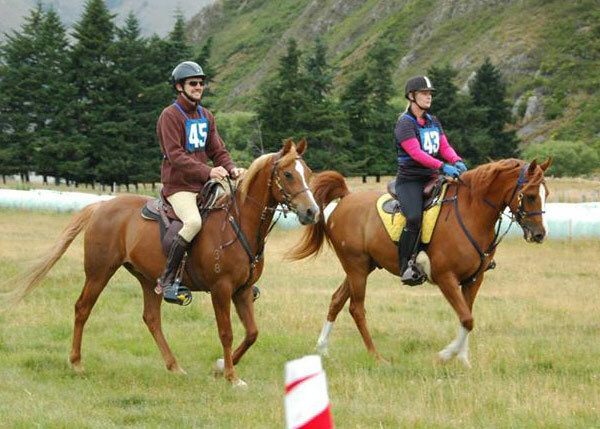 Aurora Kool Kat “KK” carried his new owner Adena Middleton to his first endurance ride, completing 40km at the Mt Nimrod ride at Hakatere Station at the weekend. 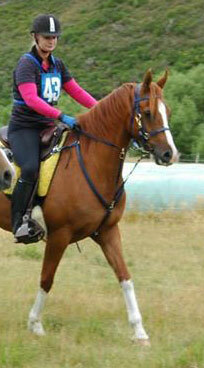 Adena rode along with her husband Craig on endurance veteran Mertz, who was also bought from Aurora at the same time. Adena says: “Kat is pretty incredible to ride. Definitely one of the most balanced and comfortable horses I’ve ever ridden. “You don’t even have to think about changing canter leads as he just does flying changes consistently and going up and down hills was an absolute breeze for him. He also has the most amazing mouth so just feels like butter in your hands. Really quite an effortless horse to ride. It is very gratifying for us to hear that KK and Adena are getting on so well. And it is also pleasing to see the foundations are being laid so well for a long and successful career for this young horse. Now that more of Omen’s progeny are going under saddle, it is obvious that he is leaving sound, sensible horses, with comfortable paces and an excellent work ethic.